A couple of weeks ago a befriended developer sent me a beta app and asked that I take a look at it. The app is called Think About It by Bone Desert Software Limited, a decision assistant, which is now publicly available. I now have three apps on my device(s) to help me make decisions. Sometimes I’m torn between two options for something easy like “do I go to the gym today or tomorrow?” These kind of decisions have no effect on my life, because it doesn’t matter if I go today or tomorrow, all it matters is that I go. Decide Now! helps in this instance. I also have Decision App, which is handy for more elaborate decisions. 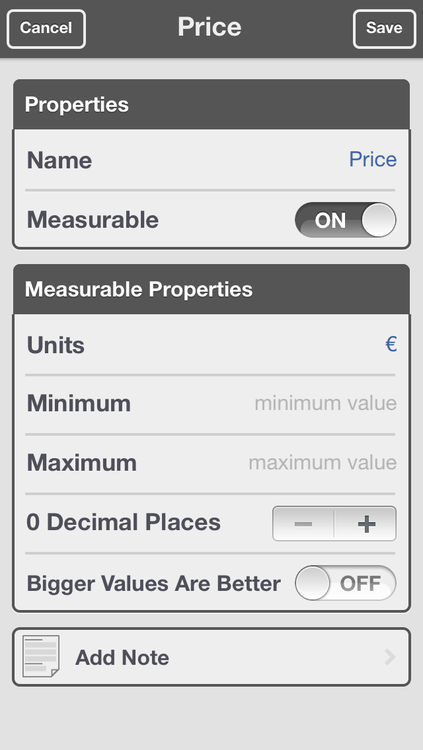 The app has some of the most useful decision matrices included. The only downside here is that the app doesn’t really improve the decision making process. This is where Think About It comes in. TAI allows you to create a Decision and add Criteria that must be met to determine the most suitable solution. 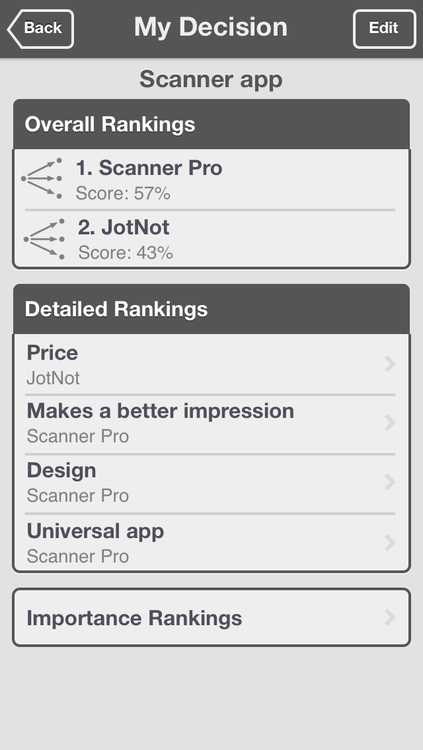 Rating these Criteria allows the app to calculate a result automatically. Criteria can be something measurable, like the price of an app, or something less defined like personal preference or a feeling. 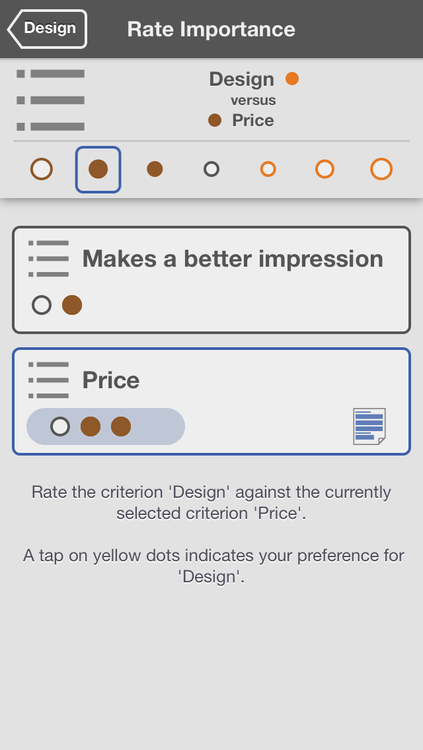 Once multiple Criteria have been created, a new option shows up: “How important is this?” Here a user can rate the importance between Criteria. For instance, in the example of a decision whether to buy an app or a competing one, price may be more important than UI design. Think About It reports any inconsistent rating. These inconsistencies have to be resolved before Think About It is able to make a choice. The app also assists in the process of highlighting where the inconsistency is likely to be. When all Criteria have been added, it is time to add Choices. Choices are basically the alternative outcomes you are considering. In the above example, the iPhone apps themselves. The last step is to measure how well a choice performs against the other choices for each Criteria. When everything is entered, the app will present a calculated, unemotional, winning result based on true facts. I like the idea behind Think About It. If the computer can help me make better decisions, it should. Think About It is only $4.99 on the App Store.